BioWare promises to unlock two new items for Dragon Age 2 if the demo is downloaded at least one million times before March 1. The Dragon Age 2 demo arrives on February 22 and along with it will come a simple proposal: just call up a million of your closest friends, get them all to download it and BioWare will unlock two new in-game items for the full version of Dragon Age 2. They don't even have to own the same systems; the target is the combined download count across the PC, Xbox 360 and PlayStation 3. The only catch is that the job must be done by March 1, or you get nothing! And what's your reward for taking part in this great act of heroism and valor? 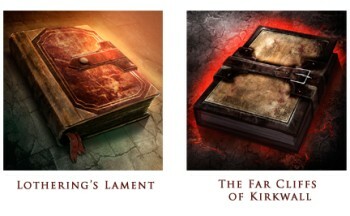 First is "The Far Cliffs of Kirkwall," a book of poetry written by a Fereldan refugee dreaming of a new life in Kirkwall as she flees the Blight, which will not only enrich players with her insights but also toss a few coins their way for reading it; and second is "Lothering's Lament," also a book of poetry written by a Fereldan refugee fleeing the blight but this one packed with reminiscences of all she left behind, blessing the player with her experience and giving them an XP bonus when it's read. The download total will be tracked on the Dragon Age 2 demo page and you'll have to be logged into your EA account while you play the demo in order for your download to count. And if you're the sort of person who can't play nicely with others but doesn't mind reaping the rewards of their hard work, BioWare has you covered: as long as the demo hits one million downloads, everybody gets the items, whether they tried the demo or not. But if it doesn't hit a million, you get nothing! Dragon Age 2 comes out on March 8 for the Xbox 360, PlayStation 3, PC and Mac.